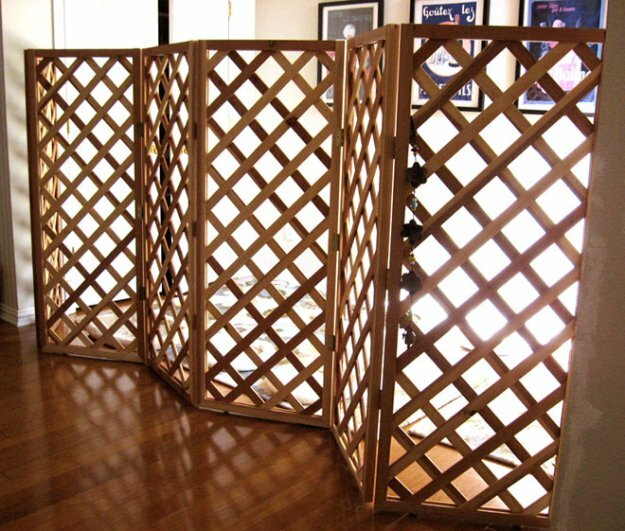 Keep your dogs or cats out of the kitchen with a homemade gate! Select trellises that will work well for your pet and the gate area. Cut off the legs of the trellises, attach furniture sliders to the bottom of each trellis and connect the trellises with hinges. Attach curtain hooks to the wall on either side of the gate and use the hooks to hold the gate in place.